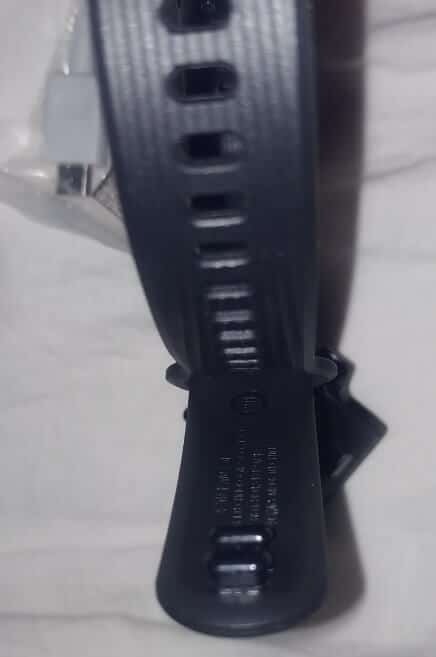 At the level of the connected fitness bracelet, you have several brands that have managed to get their pins out of the game: Garmin, Fitbit, Polar, etc… But the bracelets connected to these brands cost quite a lot! On the side of the cheapest brands (but with quality connected bracelets, not for children or whose autonomy lasts only one day…), you have Xiaomi, and a little less famous, Huawei. Huawei is famous for its smartphones, much less for their other products like its bracelets, unlike Xiaomi which touches on everything and that is moderately famous. For information, a bracelet connected is a bracelet "fitness", an activity sensor or even named Tracker, which allows to measure the number of steps you have made, the number of calories spent, but as it is connected to your smartphone, it can Also tell you your notifications, calls, and other information according to the models. There are different reasons: who, the World Health Organization, recommends to have good health to perform daily at least 10 000 not. So if you are sensitive to this recommendation, a pedometer is very useful. Then there are those who do sports and want to know more or less the number of steps he has performed, how long he ran, how many calories he spent about, etc… Many also have the function of sleep analysis, which allows you to know if your sleep has gone well or if it is necessary to improve something… And there is also the function of sending the notifications from the smartphone to the bracelet, which allows you not to draw your smartphone with every small notifications and to sort it out when unsheathing or not. Of course, depending on the models, other functions may be more useful to some and others not. 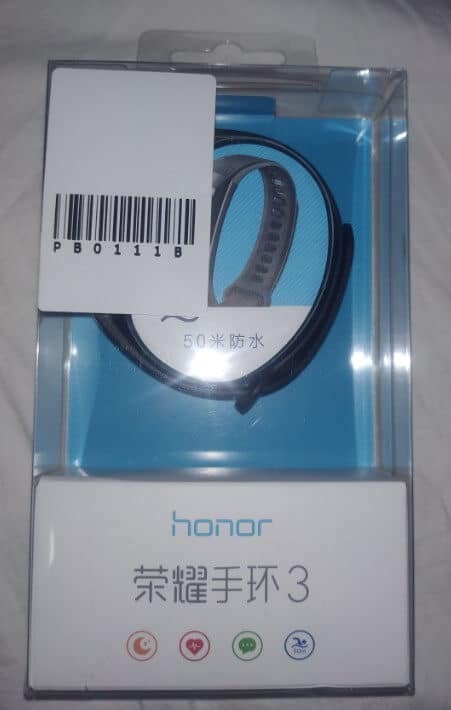 Before I give you my opinion on the Huawei Honor Band 3, it is I think interesting to know in which frame I use a connected bracelet, why I chose to own the Honor Band 3 and whether that suits me or not. My use of an activity tracker is pretty basic, I use it for 3 things: Step counter, sleep analysis and notifications. But above all, autonomy must last about 30 days! I clearly don't want to reload a little bracelet every day or weeks, I have enough stuff to reload as well! Design is a matter of taste and it's hard to explain, but I wanted something that does not look like a watch (since I already have one and I do not want to no longer use it), but that is still discreet (even if a bracelet connected is an O Original bjective by its presence). And of course, the cheapest possible. 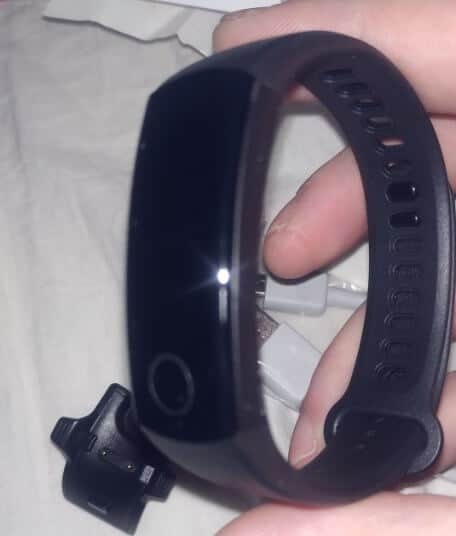 It is necessary to know that I have already for many years, a Xiaomi Mi Band 1, the first bracelet connected from Xiaomi at low prices. 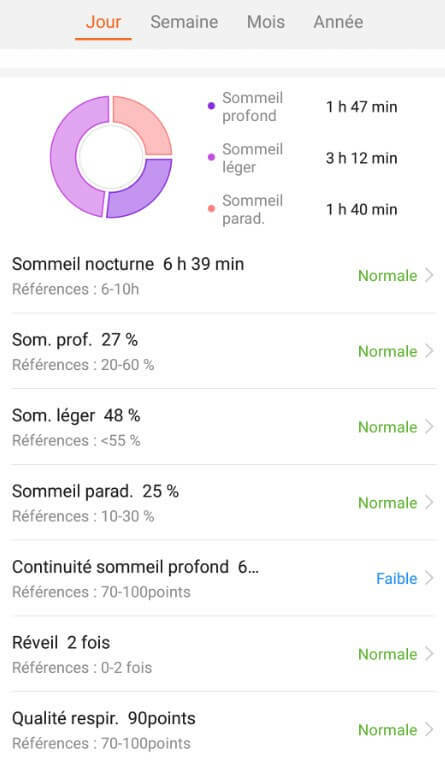 It has of course my selection criteria quoted above, and I am satisfied, but it still has some shortcomings: the bracelet could randomly be disconnected from the smartphone, which meant that I missed some notifications and the absence of the screen, which implied that even if I knew what applications gave me a notification via the 3 LEDs of colors, I did not know what contained this notification… At the time I write this article, among the cheapest connected bracelets that suited me to my use are the Mi Band 3, the Honor Band 3 and the Hornor Band 4. Unfortunately, the Mi Band 3 and the honor Band 4 have a autonomy of less than a month (in addition to the design), which pushed me to the Honor Band 3.
st thing to do: the charging with the charger (owner but to which a micro-USB cable must be attached), because a wristband connected does not have an on/off button and therefore, even if it is loaded at the factory, the time to arrive in store, to sell and the Time to get to your home, the battery is flat! 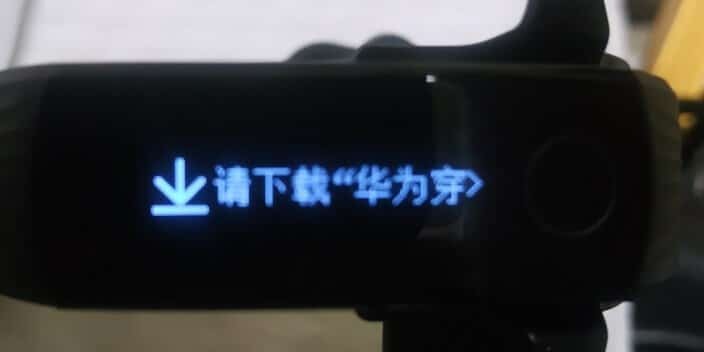 When you reload it, it puts a message in Chinese… In fact, it simply asks you to connect your smartphone with the bracelet. 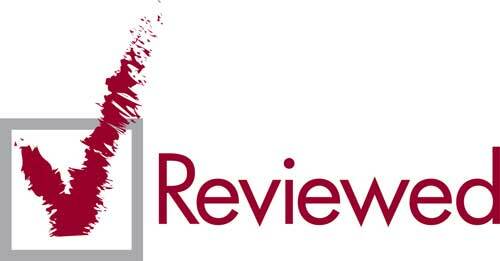 To do this, use the QR code in the user manual or download the application directly here for your smartphone. This is the Huawei Wear application, also available on Google Play and probably in the AppStore. N.B. : If you wish, there is a manual in several languages here. 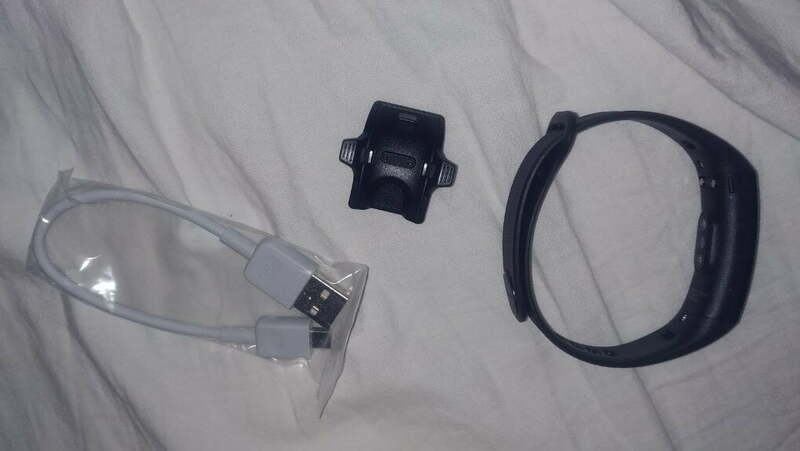 Once the application is installed, no worries, the application goes into the language of your smartphone and once the bracelet is connected and the application is well set, it will most likely ask you to update the Firmware, accept of course. And after the update, your bracelet will go to the language of your smartphone! Then nothing complicated, the application is very well made, very explanatory on the functions as well as functions that are energy-consuming. It is worth noting that under Android, you need 2 applications to have the full potential of the bracelet: Huawei Wear + Huawei Health. The latter will take care of the activity and sleep part. Ability to export data to Google Fit, Up from Jawbone and MyFitnessPal. 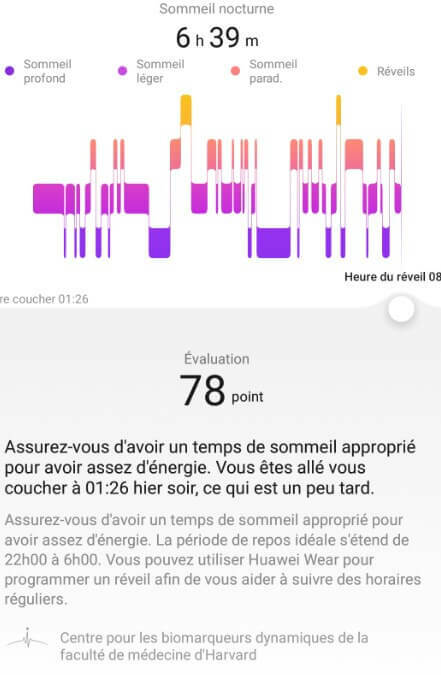 On the activity and sleep side, the data is fairly accurate in general, it happens to make mistakes but it is compensated by others, and in the end, the result is correct. 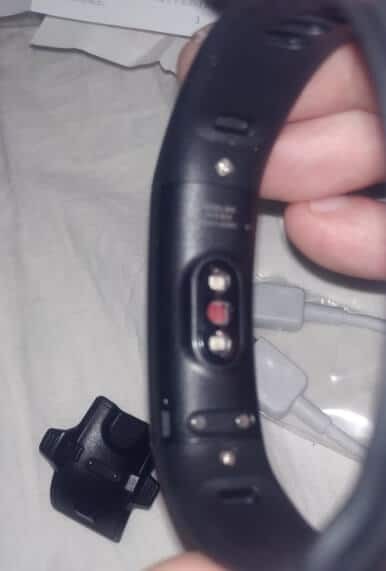 You have to know that this is the case of virtually all the bracelets connected, they happen to each one to count steps with certain movements and not to count while the step is made. 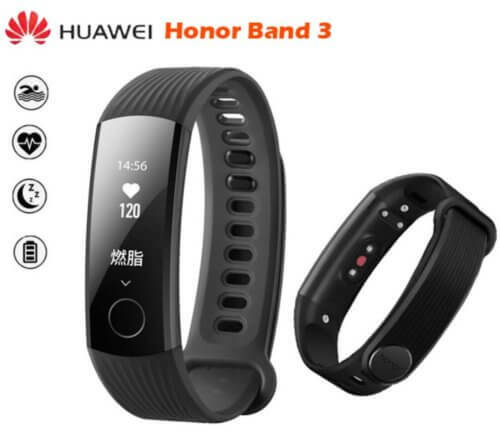 You also have several modes available with the Honor Band 3: Not, indoor racing, outdoor racing, swimming and continuous heart rate monitor. I really appreciate the analysis of sleep which is very detailed and even gives you advice (although these tips are easier said than done! :-D) personalized from the 2nd night!